Here’s what they looked like before repainting. All I did here was rebase them. 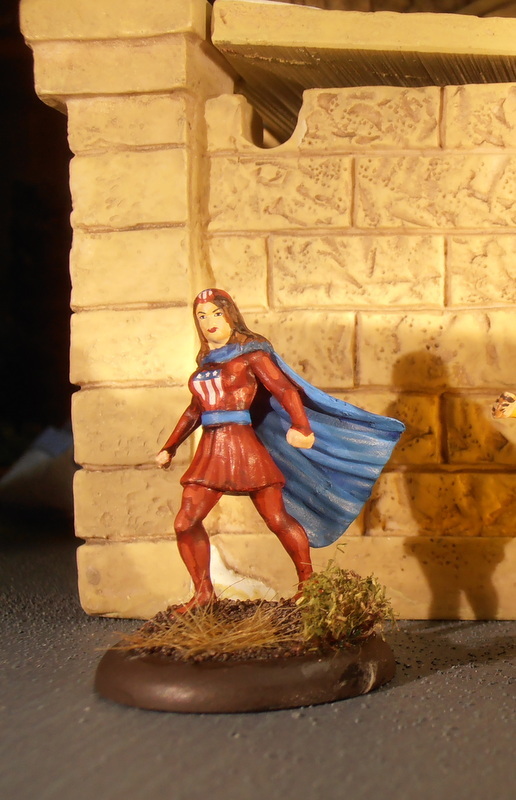 And here’s how they look after my brushwork. From l-r, Miss America, Whizzer, and Thin Man! Miss America has an annoying habit of leaning back, which isn’t something I can seem to correct. 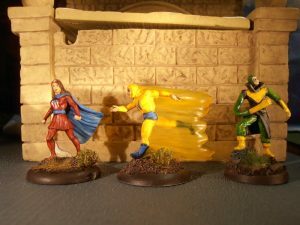 I really hate the plastic “effects”, like Whizzer’s speed blur, on some of the newer clix, but this one’s pretty much impossible to remove. Here’s a closeup of Miss America. Note the annoying lean. 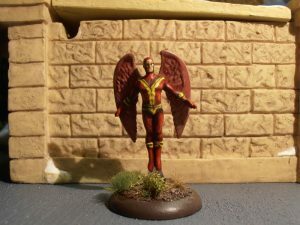 Red Raven began as an X-Men Angel miniature. 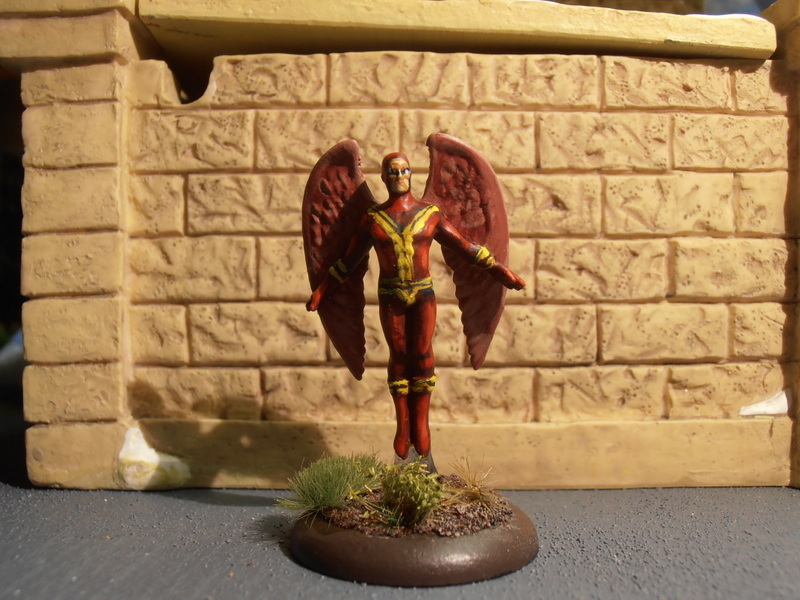 His original yellow costume was ideally suited for Red Raven, and all I needed to do was paint him red! I really like the way he came out. 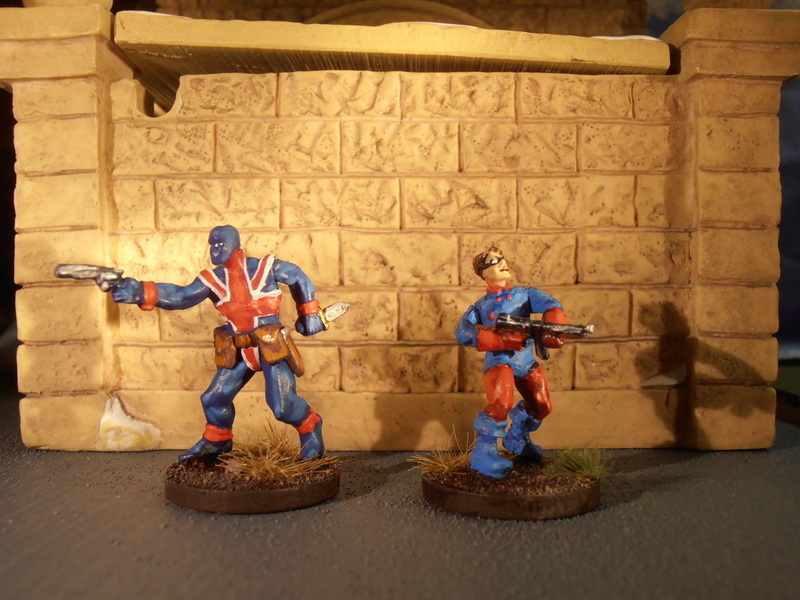 And finally, some special guest stars: Union Jack and Bucky! Bucky’s gun is bent and there’s no way to fix it short of giving him a new one. I don’t have a spare Thompson, but I may add some grenades or a knife to his belt (remember, Bucky was a soldier!). We’ll see. 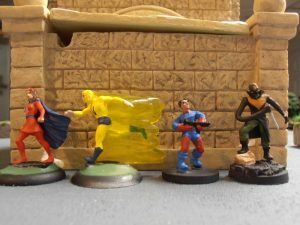 Here’s a shot of all the repainted miniatures. Tomorrow, the real Forgotten Heroes submissions. 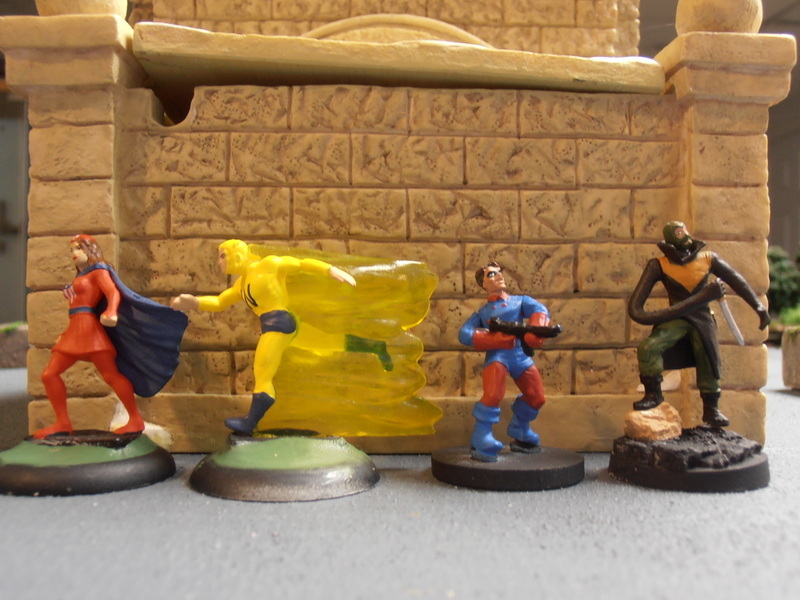 I mean full-blown conversions of the remaining members of the Liberty Legion: Jack Frost, Blue Diamond, and the Patriot! Plus a very special guest! « Forgotten Heroes: The Liberty Legion! Absolutely top work sir, they might only be re-paints but you’ve lifted them immeasurably!! Really looking forward to seeing the rest of the “Legion” tomorrow now. Silly me forgot to mention I have of course re-posted this to the Forgotten Heroes site. Nice work, Keith. Regarding Thin Man’s costume and knives, this is how he apoeared in the “New Invaders”, which was a modern spin-off around the time Marvel tried to replace Captain Britain with a female version, who eventually became a character called Lionheart. This version of the Thin Man was a bit ‘darker’ than the original, hence the knives. Thanks for the kind words, gents! I am unfamiliar with anything about the Legion post mid-80’s or so, Jeremy, so thanks for the update on Thin Man. 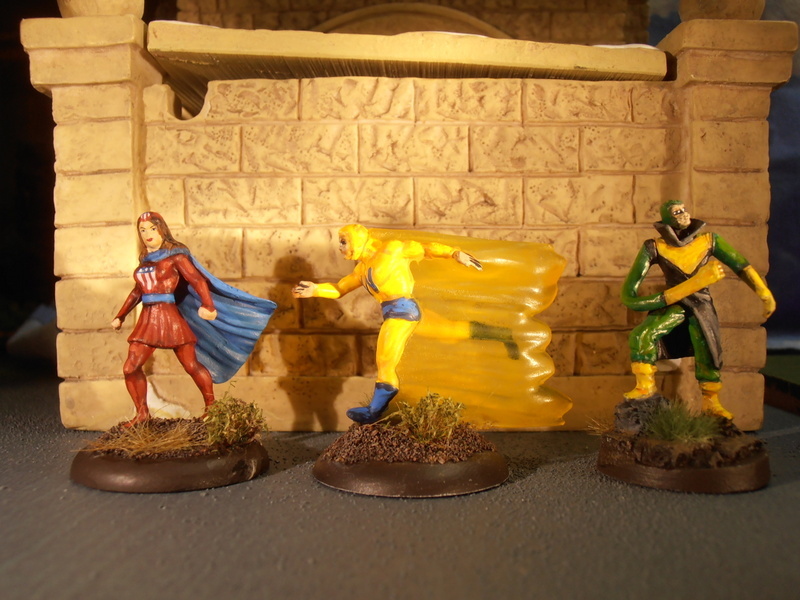 I really like the newer costume (dig that stylish coat), but I chose to repaint him in the classic yellow and green. Did the “new” Thin Man stab people? Just wondering.